Today is Sunday, April 7th, 2019, and these are your news and notes covering the final day of the 2018-2019 Regular Season in the NHL. 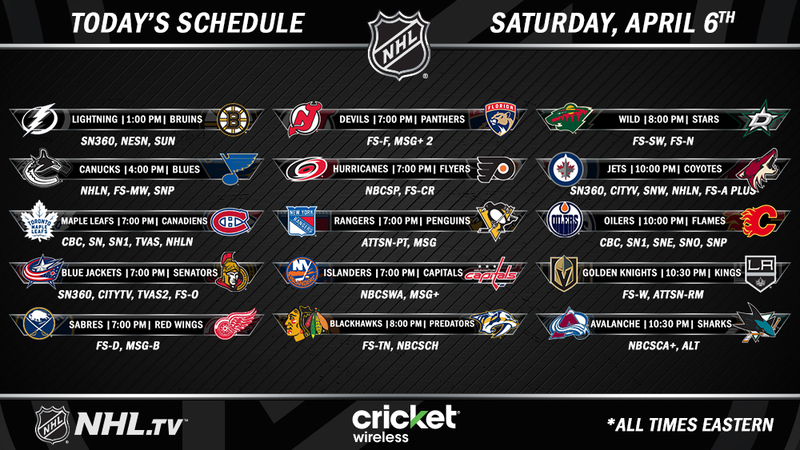 There were 15 contests yesterday across the NHL, with playoff implications on the line. The Tampa Bay Lightning would get their 62nd win on the season, tying an NHL record with the 1995-96 Detroit Red Wings, when they defeated the Boston Bruins with a 6-3 win yesterday afternoon. 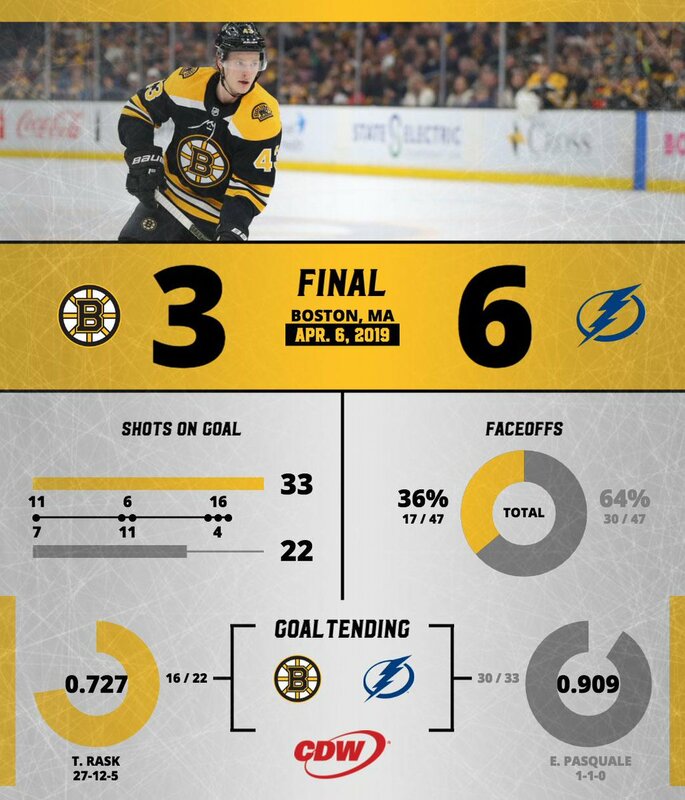 Tampa Bay would get this win after being down 2-0 late in the second period and would score four unanswered goals before Boston would score in the third period to make it a 4-3 Tampa Bay lead. Tampa Bay would score two more goals, one being an empty netter late in the third, to give the Lightning a 6-3 win. 82 games. 62 wins. Tied for the most Ws in a season in NHL history. Tampa Bay’s Nikita Kucherov would set a record for points by a Russian NHL player with 128 points this season, when he registered his 41st goal on the season 53 seconds into the third period. The St. Louis Blues would take down the Vancouver Canucks with a 3-2 win in a shootout and with the win, the St. Louis Blues would seal the third spot in the Central Division standings. Vancouver’s Elias Pettersson would score his 28th goal on the season and ended the season with 66 points, a rookie record for a Canucks player. Un nombre incalculable d'amour et de support. The Montreal Canadiens would defeat the Toronto Maple Leafs with a 6-5 shootout win, thanks to a hat trick by Ryan Poehling in his first NHL game. ICYMI: Ryan Poehling scored a hat trick in his first career NHL game, helping the Canadiens to a 6-5 shootout win over the Maple Leafs on Saturday. In this back and forth contest, the Toronto Maple Leafs could not keep up with the upbeat Canadiens and would fall in the shootout loss. However, despite the loss, the Maple Leafs would earn 100 points on the season, and it would be the first time Toronto would earn that mark in consecutive seasons. Closed the regular season with a dub! The Columbus Blue Jackets would seal their spot in the 2019 Stanley Cup Playoffs with a 6-2 win over the Ottawa Senators yesterday. This would also be a penalty free game from both teams. The Buffalo Sabres would face off against the Detroit Red Wings and would end up crushing Detroit with a 7-1 win last night. Detroit’s lone goal in the contest would come on a power play goal in the first period with Anthony Mantha’s 25th goal on the season, setting a career-high. Trending: #RedWings stall in final game as Sabres soar to 7-1 win; Mantha surpasses last season's total with his 25th goal. Travis Zajac would score the game winner in overtime, his 19th goal on the season, to give the New Jersey Devils the 4-3 win over the Florida Panthers last night. Despite being outshot in the contest, the Carolina Hurricanes would go on to defeat the Philadelphia Flyers 4-3. With the win by the Carolina Hurricanes, they earned the top wild card spot and will face the Washington Capitals in the first round of the playoffs. The Pittsburgh Penguins would fall to the New York Rangers yesterday, losing by the score of 4-3 in overtime last night. The Washington Capitals would fall to the New York Islanders with a 3-0 loss. Despite the loss the Capitals will face off against the Carolina Hurricanes in the first round of the Stanley Cup playoffs and the Islanders will face off against the Pittsburgh Penguins. The Nashville Predators would defeat the Chicago Blackhawks last night with a 5-2 win last night thanks to goals by five different Nashville skaters. With the Nashville win, they would go on to become back-to-back Central Division champions. The Dallas Stars would defeat the Minnesota Wild with a 3-0 win, thanks to two goals from Dallas F Tyler Seguin. Seguin would bring his regular season goal total to 33 goals, matching a mark he had in the 2015-16 season. The Minnesota Wild would be outshot throughout the entire contest and never could catch up to physicality and overall play of the Stars. 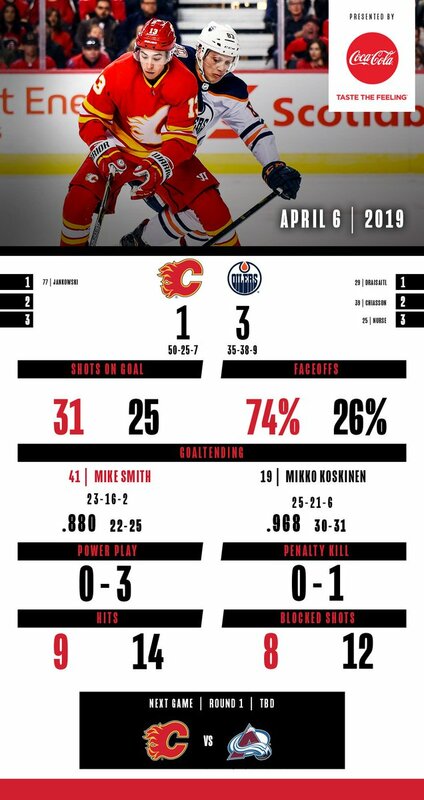 The Edmonton Oilers would defeat the Calgary Flames with a 3-1 win thanks to Leon Draisaitl’s 50th goal on the season as well as Alex Chiasson’s 22nd goal on the season. Calgary’s lone goal would come from Mark Jankowski, his 14th goal on the season, in the first period of the contest. After that goal by the Flames, they would not any answer for the Oilers. The Winnipeg Jets faced off against the Arizona Coyotes and would escape with a 4-2 win last night. There would be four different goal scorers for the Jets in the contest and it would be enough to clinch home ice for at least the first round of the playoffs. The Los Angeles Kings would face off against the Vegas Golden Knights and escape with a convincing 5-2 win. Los Angeles Ilya Kovalchuk would score twice and with goals by Jeff Carter, Matt Roy, and Anze Kopitar, the Kings would end their season a win. For the Golden Knights, despite the loss to the Kings, their season will continue when they face off against the San Jose Sharks in the first round of the Western Conference playoffs. 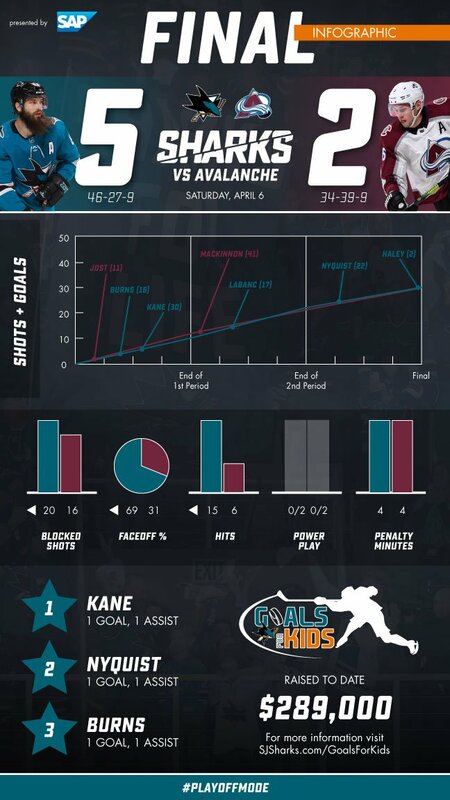 The San Jose Sharks would go on to defeat the Colorado Avalanche by the score of 5-2 thanks to scorers from five different Sharks players in the contest. 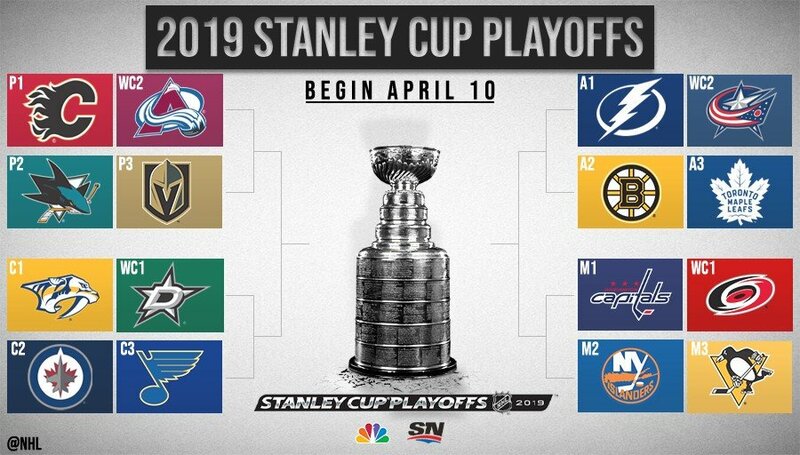 The First Round of the 2019 Stanley Cup Playoff schedule was also announced earlier today. TXHT will have a full playoff preview episode and articles to come so make sure to stay tuned.